Robert DuVall Schaub age 87 died at 7:05 AM on Friday, August 14, 2015 at the Givens Health Center from natural causes. 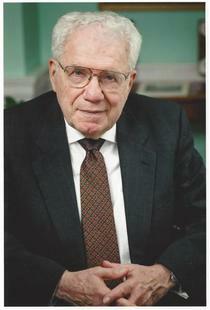 Mr. Schaub was born November 14, 1927 at the Decatur (IL) Memorial Hospital. He was the son of Fredrick W. and Thelma DuVall Schaub. . He was married to Margaret Lucille Newberry for 23 years, and Norma Jean Hockaday for 33 years. He is survived by his sister, Sandra S. James of Savannah GA; his son Howard C. Schaub and his wife Alesia of Asheville, NC and his son R. Martin Schaub and partner Michelle of rural Illinois; step-son Mark S. Allsup of Chicago, IL and step-daughter Susan (Suzie) Lynette Heaton of Atlanta, GA; grandchildren, Kristen and husband Chris, Andrew, Ethan, Elizabeth, Nathan and wife Brittany, Mathew, R. Charles, Amanda, and Wesley; great grandchildren, Madeline, Mitchell, MacLaine, and Jackson. Mr. Schaub attended Decatur, IL public schools, Kemper Military School in Boonville, MO, The University of Miami, James Millikin University in Decatur, IL. Mr. Schaub was a member of the Alpha Epsilon Rho radio fraternity, and Tau Kappa Epsilon social fraternity. Severed in the U.S. Army Air Corps at the end of WWII. Member of the County Club of Decatur, Biltmore Forrest Country Club, and Madeline Island (WI) Golf Club. Mr. Schaub operated a TV service shop in Miami (FL), was the film director and studio director for WCIA-TV Channel 3 in Champaign (IL), and held various positions with the Champaign-Urbana Courier. In 1964 he became the General Manager of the Metro-East Journal in St. Clair County (IL). In 1968 he moved to Decatur (IL) and retired in 1979 at the age of 50 as President of the Lindsay- Schaub Newspapers based in Decatur (IL). Lindsay-Schaub Newspapers operated seven daily newspapers in Illinois, two in Michigan, and to weeklies in Michigan and Florida. A private service will be held at the Givens Health Center in Asheville, NC.